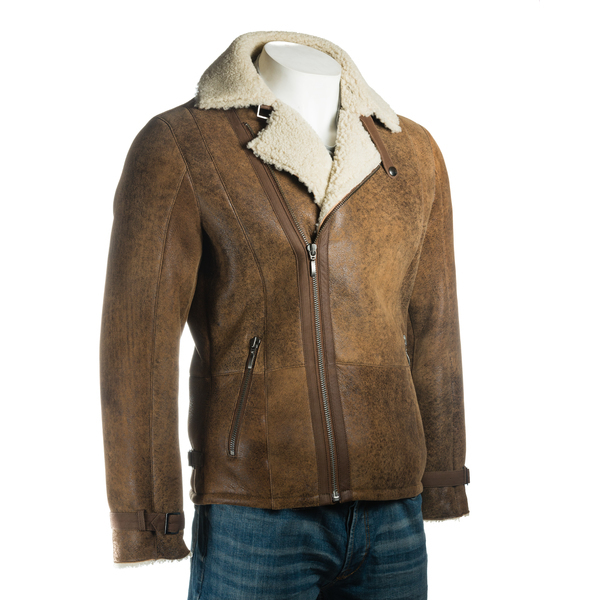 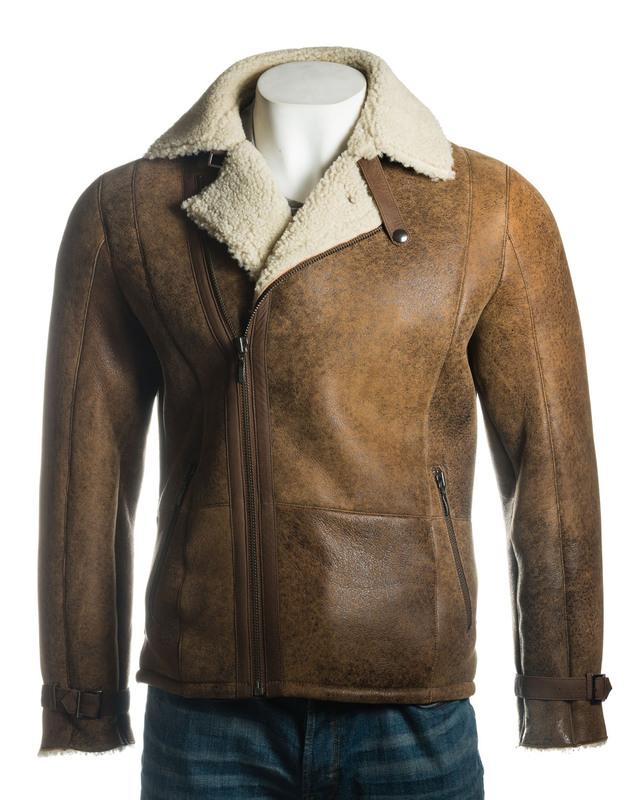 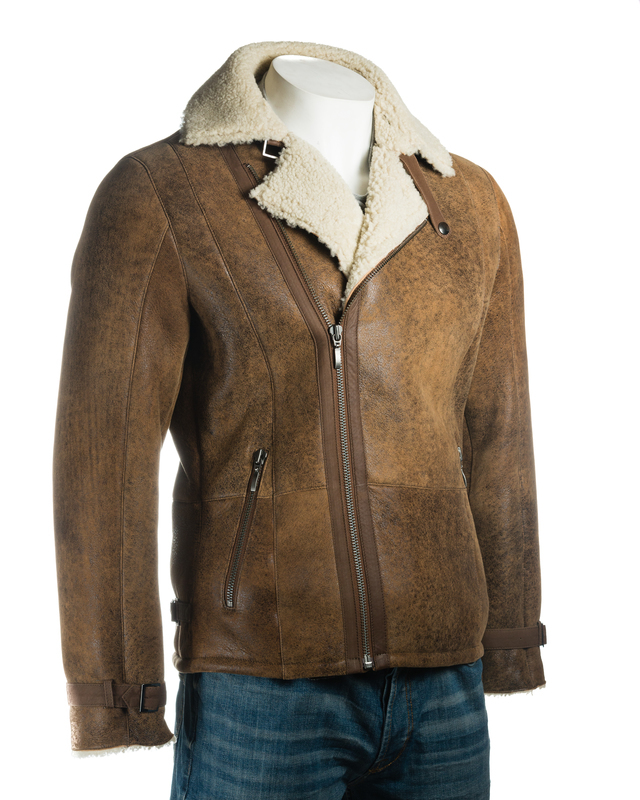 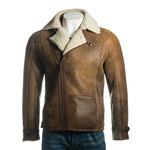 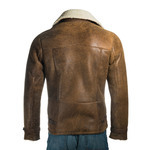 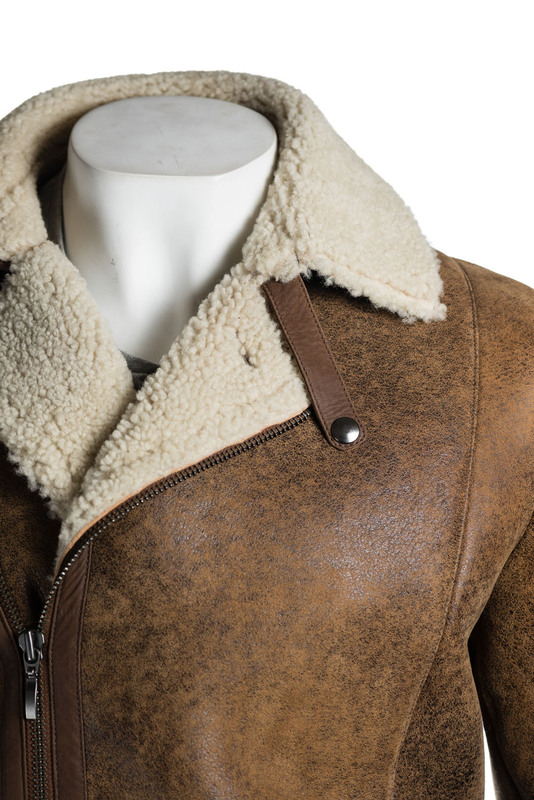 This is a beautiful biker style jacket crafted from soft weathered and vintage looking sheepskin. 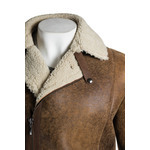 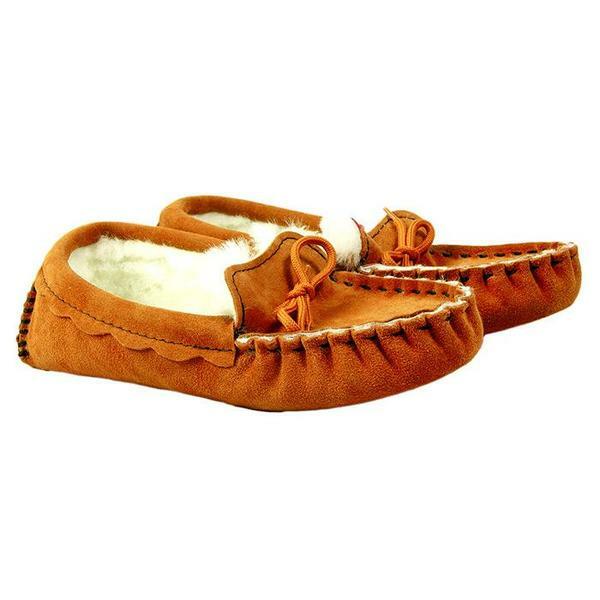 Featuring an assymetric zip, rising to a revere style collar that can also be turned up and fastened against the cold. 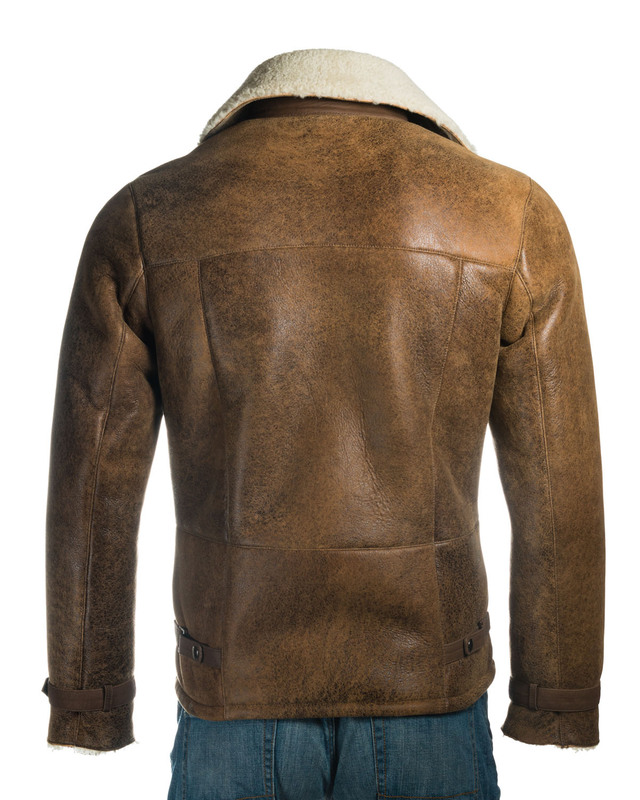 There are zipped hand warmer pockets at the waist and a further two inside pockets. 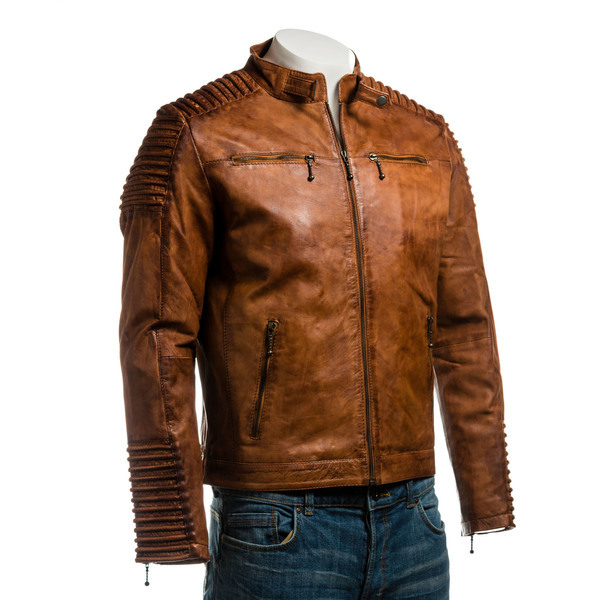 Buckle detail at the cuffs finish of this elegant jacket perfectly.